Irritable Bowel Syndrome(IBS) is a common functional disorder of large intestine, in which the exact cause is still not known. The other common names for IBS are spastic bowel, irritable colon, and spastic colon. Commonly seen symptoms include abdominal pain, flatulence, constipation or diarrhoea, chronic fatigue, fibromyalgia, headache, backache, gastroesophageal reflux, and psychiatric disorders such as anxiety and depression. Sensation of incomplete emptying after having a bowel movement. IBS can affect anyone at any age, but it commonly first develops in young adults and teenagers. IBS is more common in women than in men. The exact cause is still a question. Stress can be a leading factor for the onset of IBS. About 60% of the people suffering from IBS are seen started the disorder after a stressful event. The symptoms will be increasing when the sufferer experience fear, depression, stress and anxiety. Irregular eating habits can be another reason. Stress can also lower the immune system and the bacteria will get a golden chance to multiply and doing the damage. Certain foods like oily food, alcohol, carbonated drinks, chocolate, citrus fruits can be one of the cause of IBS. Eating too fast or irregular eating habits can be another factor. People who have IBS will experience watery or hard stool due to diarrhea and constipation. In diarrhea, people experience difficulty in controlling their bowel movement. In constipation, they might feel pain and cramping due to a straining. Stomach pain and discomfort which are usually comes and goes. It was found that, those who develop gastroenteritis, also have more chances of acquiring IBS. The descending colon may be palpable and tender. Imbalance between good and bad bacteria can be a factor. Those who are suffering fro IBS got a low amount of good bacteria. There will be an abnormal swelling or enlargement in the abdominal area. People will feel a full and tight abdomen. Females are also twice more likely to have IBS than their male, between the ages of 20-40 years. The symptoms ranges to apex especially when they have menstrual period. The main reason for treatment is to relieve symptoms. Lifestyle modification could manage IBS. These changes involve regular physical exercise, adequate rest periods, and enough sleep that may reduce stress. It’s also important to avoid alcoholic beverages and drinks that contain caffeine, avoid smoking, increase dietary fiber, and increase fluid intake. Probiotics are commonly used for the treatment of IBS. 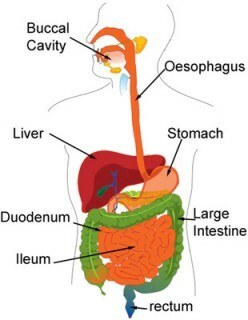 Probiotics are living microorganisms that live in your intestinal tract, or (Probiotics are nutritional supplements that contain good bacteria).They are known to support a healthy digestive tract which limits the growth of harmful bacteria. This gives your digestive tract a protective barrier against harmful bacteria. One of the leading causes of irritable bowel syndrome is stress. High levels of stress can often screw up your normal body functions that contribute to good digestion. By learning to control and reduce your stress levels you can often limit the outbreaks of IBS. If you have diarrhea, avoid sorbitol, an artificial sweetener found in sugar-free sweets (including chewing gum) and in drinks, and in some diabetic and slimming products. Simply understanding the situation may help you to be less bother about the condition, which may ease the severity of symptoms. Symptoms often continue for long periods without any treatment. In some cases, symptoms are mild and do not require any treatment.